This spin on the old Goldilocks is actually a mix of Goldilocks and Little Red Riding Hood. 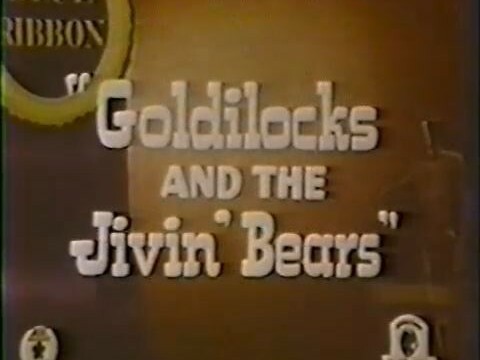 The story features a bear Jazz Trio who are in the middle of a hot jam. So hot their instruments catch fire. Consulting a story book, they find they need to take a walk to let their instruments cool down. Enter Goldilocks and the Wolf. I love your website and this cartoon is a new favorite. LOVE THESE all of them!